Imagine a pen-sized device to check your skin for melanoma. You skim the surface of your skin, and, if necessary, the pen advises you to see your physician to have a closer look at a certain spot. Such a pen would scan your skin, and detect if skin cancer is developing, even in an early stage. It would distinguish between healthy and suspicious spots, even if you can see no difference. Imec has fabricated electrical sources of surface plasmons, based on integrating light emitting diodes with metal-insulator-metal (MIM) waveguides. 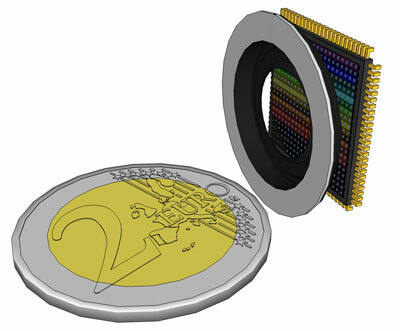 These sources, together with earlier work demonstrating plasmon detectors, are a prerequisite for making an interface between electronics and plasmonic circuits. 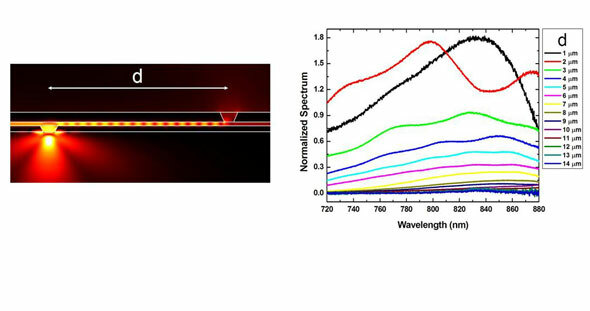 This will lead the way to fully integrated plasmonic biosensing. 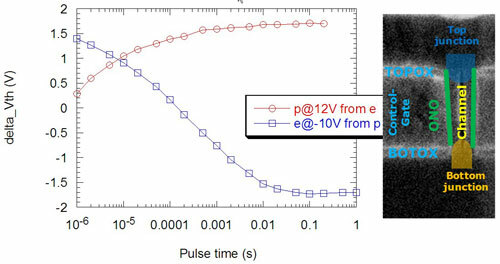 GeSn materials show promise, for example as embedded source/drain stressors for Ge channels in future pMOS devices. Imec has started a collaboration to assess the possible applications of GeSn materials, and to see how these applications could be implemented. 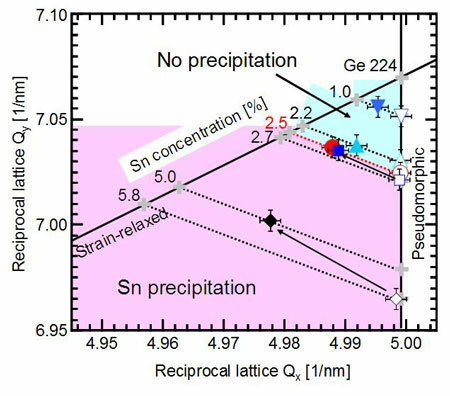 First results show, among others, that GeSn (with 2-8% Sn) materials are compatible with conventional source/drain engineering processes. An ethanol vapor sensor is fabricated using a ZnO nanoparticle film as a coating on a silicon-on-insulator (SOI) microring resonator of 5 micrometer in radius. The sensor can detect ethanol vapor concentrations as low as 100ppm. This achievement successfully demonstrates the potential of SOI technology for the development of sensitive, compact, low-power and inexpensive optical gas sensing devices. Researchers at Rensselaer Polytechnic Institute have developed a simple new method for producing large quantities of the promising nanomaterial graphene. The new technique works at room temperature, needs little processing, and paves the way for cost-effective mass production of graphene. 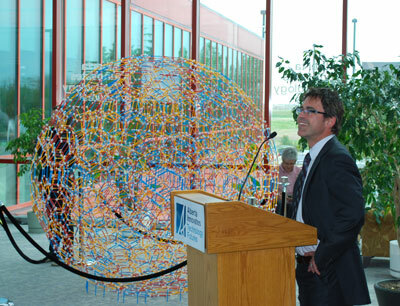 Players in the technology world now have a new gateway available to nanotechnology activities in Alberta. A new Nanotechnology Asset Map booklet has been released, showcasing resources, facilities, experts and businesses leading the way in Alberta's nanotechnology field. We currently transmit information electronically; in the future we will most likely use photons. However, these are not the only alternatives. Information can also be transmitted by means of chemical reactions. 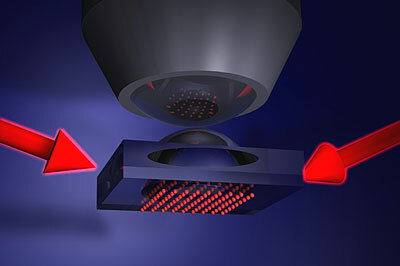 George M. Whitesides and his colleagues at Harvard University have now developed a concept that allows transmission of alphanumeric information in the form of light pulses with no electricity: the 'infofuse'. The third international conference on the history of quantum physics will be held on June 28 - July 2, 2010, at the Max Planck Institute for the History of Science, building on the momentum generated by two previous conferences held in Berlin (2007) and in Utrecht (2008). Das Bundesministerium fuer Bildung und Forschung (BMBF) finanziert seit dem 1. Mai 2010 ein grosses Verbundprojekt mit dem Titel UMSICHT: Abschaetzung der Umweltgefaehrdung durch Silbernanomaterialien: vom chemischen Partikel bis zum technischen Produkt. Das Projekt mit einer Laufzeit von drei Jahren hat ein Finanzvolumen von fast 3,7 Mio. Euro. International Enterprise Singapore, the lead government agency tasked to develop Singapore's external economy, will be leading seven Singapore-based nanotechnology companies in their debut appearance at the Nanotech Conference and Expo 2010 (Nanotech 2010). Batteries might gain a boost in power capacity as a result of a new finding from researchers at MIT. 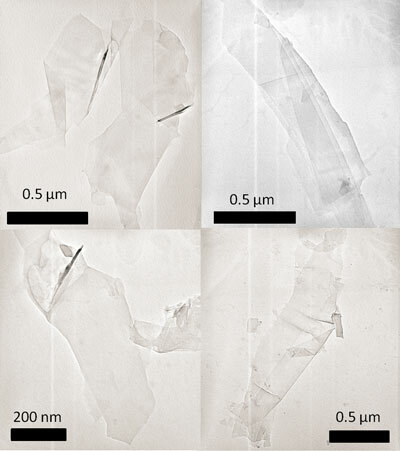 They found that using carbon nanotubes for one of the battery's electrodes produced a significant increase - up to tenfold - in the amount of power it could deliver from a given weight of material, compared to a conventional lithium-ion battery. For the first time, physicists at Harvard University have tracked individual atoms in a gas cooled to extreme temperatures as the particles reorganized into a crystal, a process driven by quantum mechanics. The research opens new possibilities for particle-by-particle study and engineering of artificial quantum materials. The President's Council of Advisors on Science and Technology (PCAST) wants to hear from you about how the Federal government can best use its resources so three of the newest and most promising technologies provide the greatest economic benefits to society. The all-encompassing annual review on TiO2 pigment for industry participants including producers, end-consumers, new entrants and the financial community.